Thousands of acres of forestland, houses are burned in fires in Turkey each year. According to the statistics by the Ministry of Forestry and Water Affairs, General Directorate of Forestry of Turkey, 3 thousand 219 hectare areas got damaged due to 2 thousand 150 forest fires in 2015. 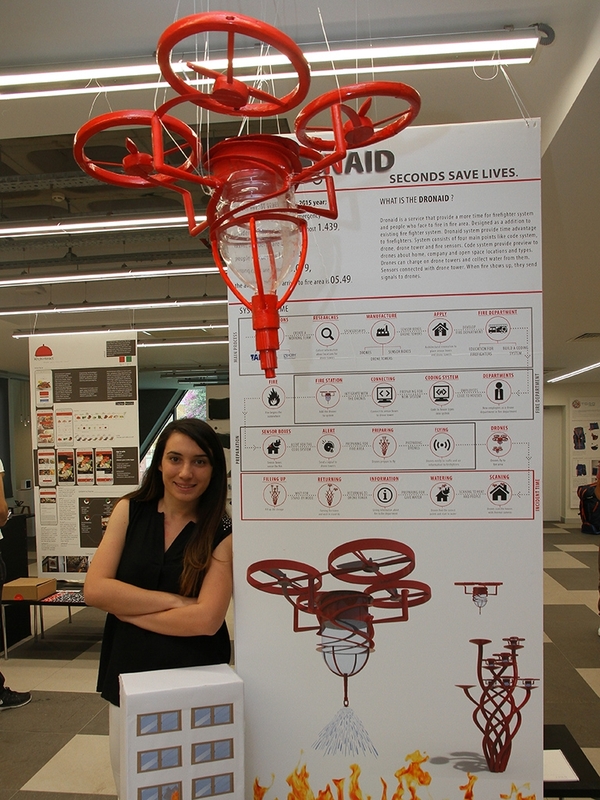 Dilara Kartalkaya, student at IUE Department of Industrial Design, wanted to take precaution against increasing number of fires and fatalities in summer, and she developed a support system for firefighters, and her inspiration for this project was a bug in Canada. 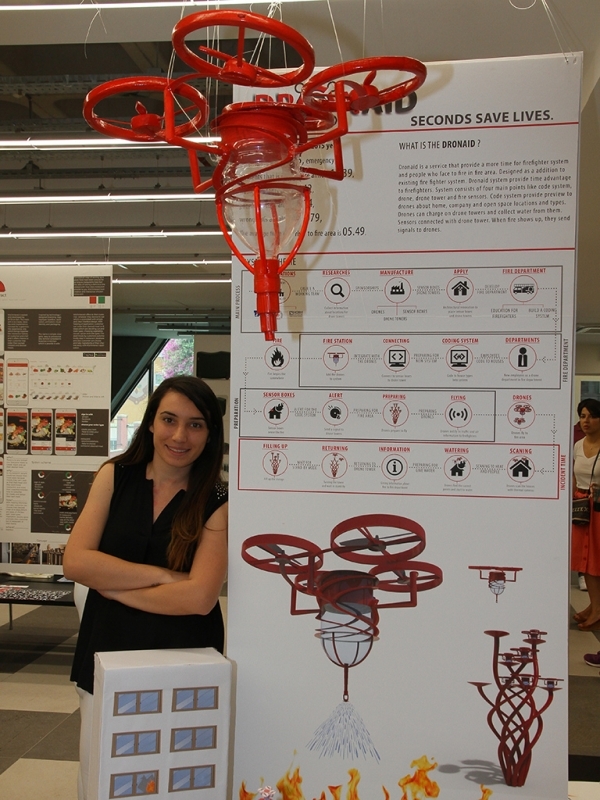 Kartalkaya stated that she based her project on the thermal sensors of the bugs called the pit organ, and said that she would establish a fire sensor in each neighborhood, and that all houses and species in the city would be uploaded in the system by codes. “The code system and sensors connect to drone (unmanned aerial vehicle) tower. There are eight drones each with a capacity of carrying 10 liters of water at the tower. 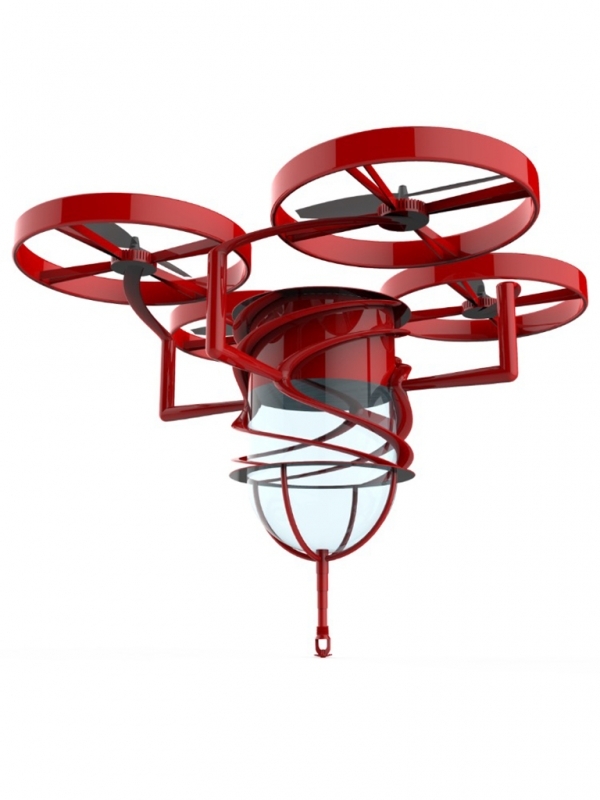 Drone tower is kind of a station for aerial vehicles. There are large water tanks under the drone tower. Rain water is collected there, and those water tanks are also connected to water supply system. Water is pumped to the aerial vehicles via water pumps,” said Kartalkaya. Kartalkaya said that the system would help decrease the workload of the fire department, especially during false alarms. She said that a signal would be sent to the drone tower in case of a fire, initiating the aerial vehicles to fly towards the fire and informing the fire department about the status of the fire and the traffic via signals. Kartalkaya also said that the vehicles would detect any signs of life in buildings with their thermal cameras, and use the water in their tank to try to put out the fire until the fire trucks arrive.